After last year's conference, the guys from Practical Agile decided to "open source" the conference - the conference was community driven by a volunteering steering team. This year the conference offered a full 4-track program under the title "learn something new" making it harder than ever to choose the sessions. A slimmer version of Angel Medinilla (@angel_m) returned to get things going with his high paced, humorously sketched view on the road (and pitfalls) to hyper-performing teams. Some of the notions come from management 3.0 which is not a coincidence, as Angel is one of the M 3.0 trainers. 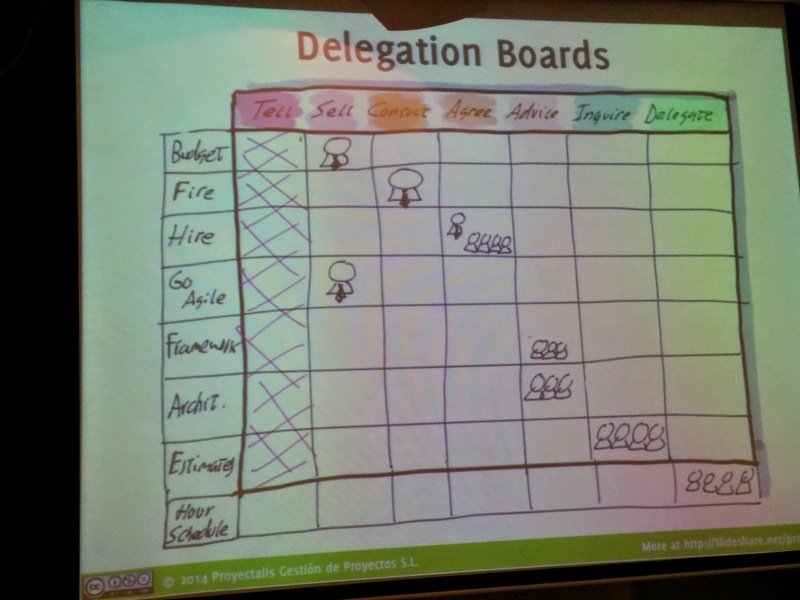 Some topics to follow up on may be the Agile Fluency Model, the "Agile Kaizen" book and delegation boards. 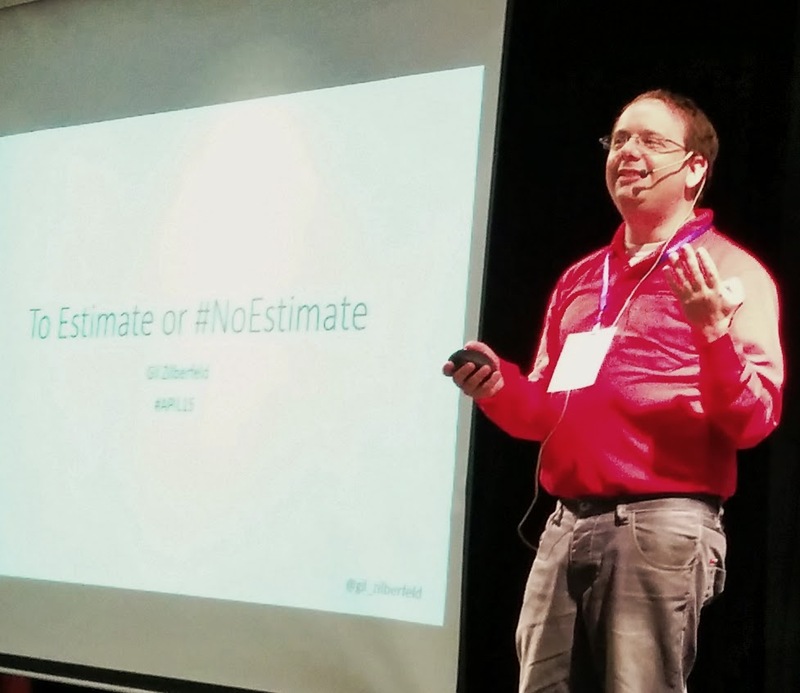 Gil Zilberfeld's talk, “To Estimate or #NoEstimate” talked about the #NoEstimate movement, why people want estimates, what are the problems with estimates and what could be useful alternatives. 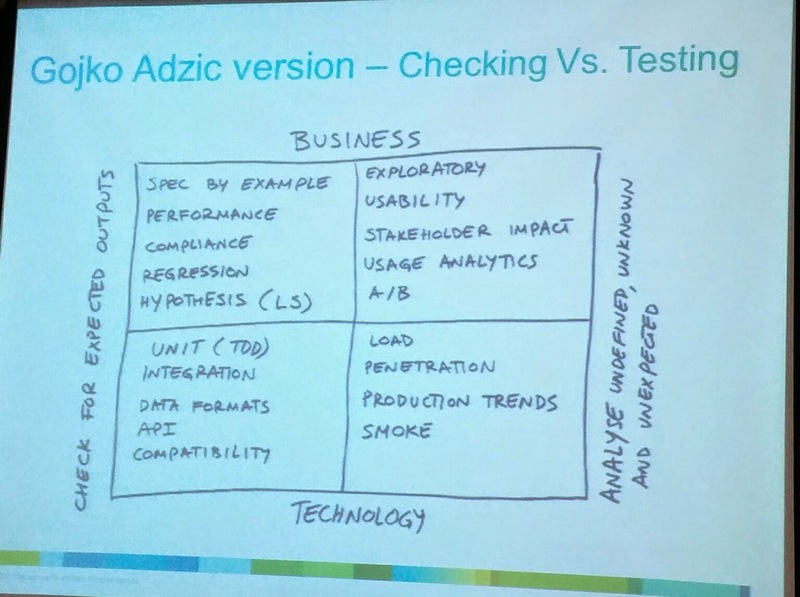 Meanwhile I missed, among others, Uri Nativ's "Missing Lecture" about the difficult-to-deal-with gap between the agile coach/leader's perspective and the teams' view on the agile change initiative. I love the slides (form and content). Next, Lior Friedman, talked about code smells, and their less (in)famous cousins: Test Smells. Learning to identify them can help improve the system. After all, TDD is a way to write well designed software. Problems in the tests often tell you of problems in the design, or even in your process. Ran Deri and Noam Zweig (from CyberArk) gave some insight on their experience dealing with Technical Debt systematically. Interesting mix of tools (such as sonar) and assessment (using a survey by Gil Broza) to actually track, negotiate budget and set goals. In a session I missed, Yuval Yeret (happy birthday!) gave a talk about an effective way for managing an agile transformation. 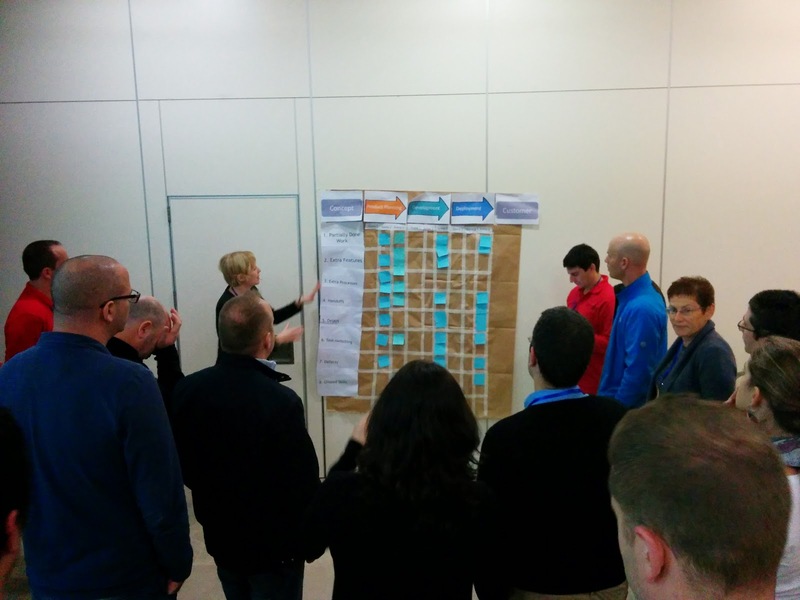 Andrea Darabos conducted her "Lean Lens" workshop. It is essentially a role playing game each team gets a scenario to play out. Some participants act, simulating the different roles, while others observe, trying to identify the 8 types of waste (better known as the 7 wastes + unused skills). Interesting takeaway - try set up a board in the team room to collect instances of the 8 wastes as they happen, and deal with them in the retrospective. Hey - these are "process smells"! Meanwhile, Eyal Golan talked about working with legacy code. I was told it was interesting and practical. The last track session actually had 5 options, because Angel agreed to give an improvised sketching workshop where we practices some basic shapes, faces, stick men, containers, call-outs, etc. That was fun, and it was similar to some of Angel's Drawing 101. More advanced stuff can be found in learning to sketch on tumblr. Claudio, a.k.a Agile Sensei, described his A3 thinking / problem solving system, and POPCORN flow, which is a kanban board for capturing, planning and tracking change experiments. Slides here (well, very similar to the ones he actually used). Another interesting concept he described was "job to be done" (JTBD) as an alternative to user stories formulation, focusing on the human need you wish to fulfill. As an intro to the topic, Alan Klement's description of a "job story" is very useful. There was much more, obviously, but that's what I can share. Great stuff, community!